Believe it or not Cliffords #Taxidermy is only 1 ½ hours south of #CarogaLake, NY. We are only a few miles south of Route 80. 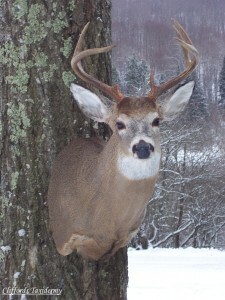 If you need a taxidermist and are from the Caroga Lake, NY area give us a call. We mount deer, birds and fish. Tanning deer hides is also something we do here.